“How do bail bonds work?” As a busy bail bond company, that’s a question we’re asked every day. It’s amazing how many people aren’t familiar with this crucial aspect of the justice system. While there are too many types of bail bonds to break down all of them in a short blog, let’s talk about what bail bonds are and their special purpose. Bail Bonds Service Provides an Affordable Way to Be Released From Pre-Trial Lockup. When a person is arrested for an alleged crime, they’re immediately taken to the local police station or sheriff’s office for “booking”. This is the process that involves taking fingerprints, mug shots, and personal information. Afterwards, the suspect is brought before a judge or magistrate. Weighs the facts of the case and the personal history of the suspect, the judge then sets a price of bail. Bail is the amount an arrested citizen must pay to be released from jail prior to their court hearing. Once paid, the individual may continue with their day to day life. The only problem: many people can’t afford the full price of bail. That’s why arrested individuals or their families often call a local bondsman to come and supply a bail bond. This enables people who can’t afford bail to avoid a long weeks or even months of lockup. 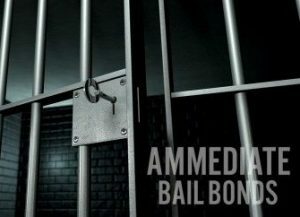 How Does a Bond Work for Bail? When a judge sets the price of bail, a bondsman can submit a bail bond on your behalf. This bail bond is typically a small percentage of the full price of bail, but it represents a promise from the bail bondsman to ensure you (or your loved one) will appear at every one of your scheduled court appointments. As soon as the bond is submitted, you should be released from custody immediately or soon after. The cost of the bail bond is then paid off by the defendant (you or your loved one) over a period of time arranged with your bail bonds service. Instead of paying the entire amount of bail to be released, only a mere percentage is required. 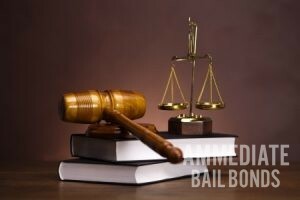 Bail Bondsmen Secure Your Release by Paying a Percentage of the Full Price of Bail. This is the important thing to remember when it comes to bail bonds. If a suspect and their family pays the full price of bail set by the judge, the amount (minus court fees) will be paid back to them following their court appearances. This requires the suspect to be present and on-time to each and every appointment. The bail amount is forfeit otherwise. When it comes to bail bonds, the percentage and fee that you pay to the bondsman is non-refundable. Bail bondsmen assume great financial and personal risk (which we’ll talk about later) when taking on these bonds, so the amount is well justified. Can you bail yourself out of jail? Yes! Anyone who has the necessary funds can bail themselves out of jail, unless a judge has chosen to deny bail. This is rare and is only done when a suspect is considered a flight risk or a verified threat to others. There are two types of bonds that a bondsman can assist you with. The service you require will be determined by whether the court judge sets a cash bond or a surety bond. The bail bond we discussed earlier is a surety bond. A judge may also require the full amount of the bond all at once, which is a cash bond. Not every bail bond company will support cash bonds. As for what crimes or charges may require bail bond services, there are quite a few! Keep in mind that there are several crimes that walk the line between misdemeanor and felony. In some scenarios, especially those with aggravated circumstances or repeat offenses, a judge can upgrade a charge to a felony. If You or a Loved One Have Been Accused of a Crime, Call Your Lawyer and a Trusted Bail Bondsman. There are many demanding aspects to a bail bondsman’s job. First, they take on the financial responsibility of paying the surety bond for bail. Next, they have to make sure that their client arrives at each of their scheduled hearings. After all, if their client doesn’t arrive to their court appearances, the bail bonds service is on the hook for the full price of bail until the amount can be exacted from the newly detained suspect. That’s where the most difficult and dangerous portion of the job comes in. While the majority of bail bonds clients faithfully attend their court appointments, there’s always a small percentage that forgets. A few clients even go on the run to avoid court, which mean the bail agent has to pursue, capture, and return them to custody. This means substantial personal risk for the bail bondsman. Not just anyone can be a bail bondsman! Before a potential bond agent can even begin the process of becoming a licensed professional, they have to meet the minimum education requirements. Next, they’ll need to complete a special training course and take the state licencing exam. After passing the exam and applying for a license, a would-be bondsman must also secure a sponsorship from a surety company. They can limit your time in pre-trail lockup. They can enable you to return to your job and continue earning income before trial. They can provide some arrest assistance if you’ve been mistreated. They can answer common questions about the bail and trial process. They can provide more peace of mind for your family. Talk With Your Local Bail Bondsman Today! Are you or a loved one in need of bail bonds service? 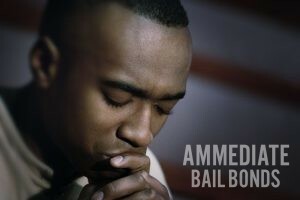 Our team at Ammediate Bail Bonds would love to help you limit pre-trial jail time by providing bail as quickly as possible! Give our team a call at (321) 631-2663 for prompt assistance. Posted in Uncategorized on November 9, 2018 at 9:04 pm by Ammediate Bail Bonds.